Unfortunately, your registration has been declined by the auctioneer. You can contact the auctioneer on 01625 431788 for more information. You are the current highest bidder! To be sure to win, log in for the live auction broadcast on 21 Feb 2019 10:00 GMT or increase your max bid. 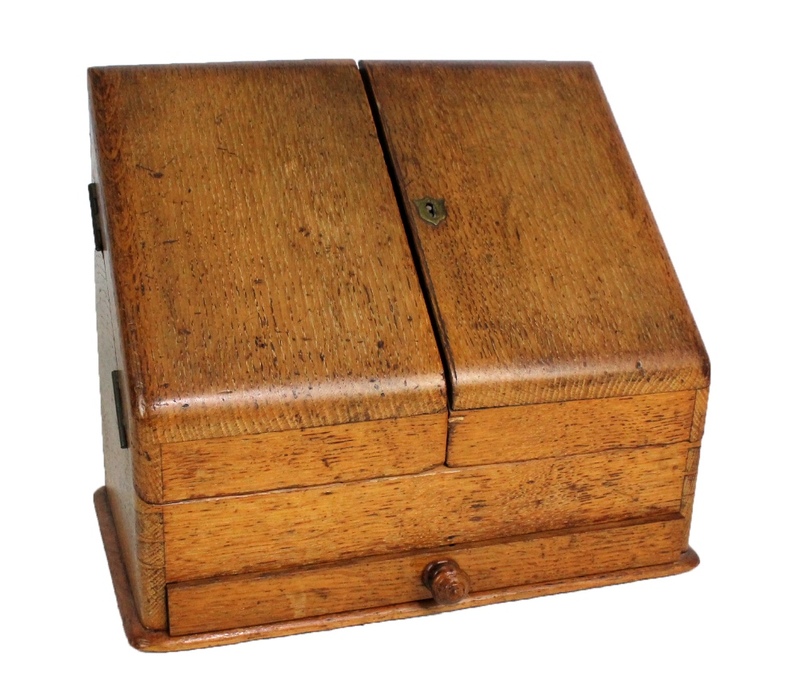 PAWSON & BRAILSFORD; a late Victorian oak stationery cabinet with hinged doors enclosing a sectioned interior and bearing white enamel plaque inscribed 'Pawson & Brailsford, Sheffield, Manufacturing Stationers, Printers, Engravers', width 31cm. We understand that it's not always possible to be at the sale or collect your winning lots in person so Adam Partridge Auctioneers and Valuers offer a postal service. We are not professional packers or shippers but we will do our best to ensure that your parcel is packed in a way to ensure the item is safe for its journey, however Adam Partridge Ltd will not be responsible for making any claim. Please contact us so we can advise if the lot is suitable for sending on 0845 835 0520 or macclesfield@adampartridge.co.uk If we cannot post the lot to you due to size or weight, you are welcome to arrange collection by another carrier. A list of our recommended carriers are detailed at the bottom of this page. If you were bidding via www.the-saleroom.com, due to increased security measures, we will only despatch parcels to the registered cardholders address. Any requests for parcels to be sent to an alternative address are at the discretion of the auctioneer. Items are sent a minimum of a week following the sale and cannot be guaranteed for a specific date. Jewellery, watches, vesta cases etc. Prices are based on size and weight of the package being sent. For a quotation, please send the full postal address to macclesfield@adampartridge.co.uk Prices will include packaging costs and postage, both excluding VAT at 20%. Buyer`s Premium 20% (inclusive of VAT). Condition reports to be requested no later than 5.30pm on Tuesday 19th February 2019 or they will not be responded to. For buyers registering with www.the-saleroom.co.uk, if you have not registered with us for previous sales, you may be asked to provide identification prior to the sale. Identification is to be provided in the form of photographic ID and proof of address such as a valid passport AND a recent utility bill. Bids to be received no later than 7.00pm on Wednesday 20th February 2019 or they will not be processed in time for the auction. Lots are to be paid for and collected by 12.00pm Friday 1st March 2019 or storage charges of £5 per lot per day will be charged. Interest will also be charged at 4% of the hammer price per month. Both sets of charges will be backdated to the first date of the sale. 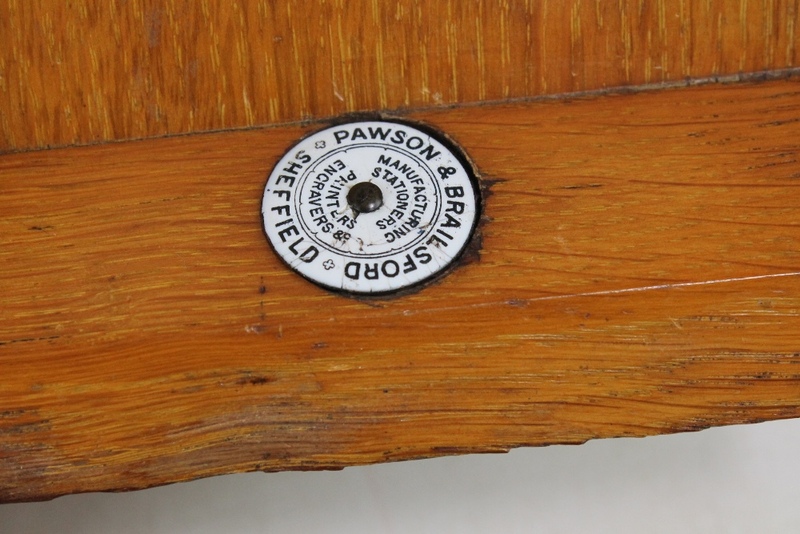 Collections are to be made the week following the auction on Monday from 9am to 7:30pm and Tuesday to Friday 9.00am to 5:30pm at our auction house: The Cheshire Saleroom, Withyfold Drive, Macclesfield, Cheshire SK10 2BD. Payments can be made over the phone or upon collection by debit or credit card (credit card payments only on invoices under £200 and we do not accept AMEX or payments over the phone using Maestro), bank transfer, cash or cheque. To make payment by bank transfer, please use your buyers number (either your SR reference or the reference number shown on your invoice) AND the sale reference as the payment reference, to the bank details provided with your invoice. By not using these references, we may not be able to trace your payment. Please note that you must ensure all bank charges are covered or we will not receive full funds, this includes sending and receiving bank charges. As per our terms and conditions, you are responsible for all charges incurred for bank transfers. If you are having lots posted, we will only despatch parcels to the registered cardholder's address. Any requests for parcels to be sent to an alternative address are at the discretion of the auctioneer. Please note we cannot guarantee a dispatch date. We can post certain items out if you cannot collect in person. Please contact us so we can advise if the lot is suitable for sending. If we cannot post the lot to you, you can contact another courier. If you are a winning bidder via the-saleroom.com, you may receive an automatic quote (via email) from their delivery service following the auction. This is a separate service to the one we provide. “the Auctioneer” means the representative of Adam Partridge Ltd conducting the auction. 2.1 - Adam Partridge Ltd acts as agents for the Vendor (except where it is expressly stated to be selling as principal) and is not responsible for any default by the Seller or Buyer. 2.2 - Adam Partridge Ltd has the right to refuse admission to its premises or attendance at its auction by any person. All persons are admitted to Adam Partridge Ltd’s premises to attend an auction on the basis that they have notice of these Conditions. 2.3 - The copyright in all illustrations and written matter (including the Catalogue) relating to each Lot is the absolute property of Adam Partridge Ltd and no person may use or copy the same without the prior written consent of Adam Partridge Ltd.
2.4 - Adam Partridge Ltd makes every effort to ensure that the Catalogue and description of the Lot are accurate but Adam Partridge Ltd makes no warranty to that effect. 2.5 - All Statements whether made verbally or in the Catalogue are statements of opinion only and neither Adam Partridge Ltd or its employees or agents will be responsible for the accuracy of any opinion given. Each Lot is sold by the Vendor with any and all errors of description, faults and imperfections. 2.6 - Adam Partridge Ltd has the right to divide any Lot or combine two or more Lots, refuse any bid, withdraw any Lot from auction or (in the case of dispute) put any Lot up for auction again. The Auctioneer shall have the right to advance the bidding as he may decide. 2.7.1 - Adam Partridge Ltd shall be under no liability for any damage or loss sustained by any person while on Adam Partridge Ltd’s premises or while attending auctions conducted by Adam Partridge Ltd except for death or personal injury caused by the negligence of Adam Partridge Ltd, its employees and agents. 2.11 - All transactions to which the Conditions shall apply shall be governed by English Law. In the event of any dispute between Adam Partridge Ltd, the Vendor and the Buyer concerning the sale of any Lot at an auction conducted by Adam Partridge Ltd, the matter shall be referred to a single arbitrator to be agreed upon by the parties. 4.1 - The Vendor warrants to Adam Partridge Ltd and to the Buyer that he is the true owner of the Lot or is properly authorised by the true owner to sell the Lot and is able to transfer good and marketable title to the Lot free from any liens, charges or third party claims. When the Vendor is authorised by the true owner to sell the lot, the Vendor must name the owner and produce such written evidence of his authority as Adam Partridge Ltd may request. 4.2 - The Vendor warrants to Adam Partridge Ltd, its servants and agents and the Buyer against any loss or damage suffered in consequence of any breach of the above on the part of the Vendor. 4.3 - The Vendor warrants that all information supplied to Adam Partridge Ltd in connection with the Lot is accurate to the best of his knowledge, information and belief. 6.1 - Adam Partridge Ltd do not themselves usually undertake the collection of goods but will, if required, instruct a contractor on the vendor's behalf in their capacity as agents. Adam Partridge Ltd disclaim all responsibility for loss or damage to goods or for unauthorised removal of goods and for damage to premises caused by the contractor who should be insured for such risks. Unless written instructions are received to the contrary these services will be deducted from the proceeds of sale. 6.2 - Adam Partridge Ltd will not collect goods for sale unless otherwise agreed and where Adam Partridge Ltd agrees to collect any such goods, the risk in such goods remains with the Vendor. 8.1 - Adam Partridge Ltd reserve the right to store or arrange for storage of delivered goods delivered to them for sale either on their own premises or elsewhere at their sole discretion. Adam Partridge Ltd exempt themselves from any liability for loss or damage of goods delivered to their salerooms or other premises without sufficient sale instructions, unless the loss or damage is caused by the direct negligence of an employee of Adam Partridge Ltd.
8.2 - Storage charges may apply at the rate of £5 per lot per day. Vendors will be charged at a rate of £5 per lot per day for lots left on Adam Partridge Ltd’s premises after the vendor has been requested to remove them. This charge is backdated to the date of sale and if the goods are not removed within 21 days of such request Adam Partridge Ltd reserves the right to sell the goods at their absolute discretion without further notice in order to defray costs and storage charges. 11.1 - The Vendor shall be responsible for insuring their goods until they arrive at the premises of Adam Partridge Ltd.
11.2 - Unless otherwise instructed in writing, all goods on Adam Partridge Ltd’s premises and in their custody will be held insured against the risks of fire, theft following forcible entry, and water damage, but not against damage caused by humidity or temperature changes, inherent conditions or defects, error in processing, war, nuclear radiation or radioactive contamination. The value of the goods so covered shall be the gross amount realised, or in the case of unsold lots the reserve; in the absence of a reserve or in the case of goods withdrawn prior to sale that which the specialist staff of Adam Partridge Ltd shall in their absolute discretion estimate to be the auction value of such goods. 11.3 - Adam Partridge Ltd shall not be responsible for accidental breakage, loss or damage unless caused directly by the negligence of their employees. In no event will Adam Partridge Ltd be liable for damage to glass or picture frames (or cleavage of stones) whether forming the whole or part of any Lot, or depreciation in value following repairable damage to any lot. 11.4 - In respect of any article delivered to Adam Partridge Ltd, if the vendor has in force a policy or policies of insurance in which the article is specifically mentioned as being insured, whether or not for an agreed sum or value, the vendor shall notify his insurers of and shall himself note Adam Partridge Ltd’s interest as bailees in such policy or policies. 12.1 - All goods are offered for sale WITHOUT RESERVE at the Auctioneer's discretion unless written instructions as to reserves are received by Adam Partridge Ltd prior to the commencement of the sale. Where requested, advice on reserves will be discussed and agreed. Reserves placed by telephone are accepted at the sole risk of the vendor and must be confirmed by the vendor in writing to be received by the Auctioneers prior to the commencement of the sale. 12.2 - All reserves are subject to 10% Auctioneers discretion. An unsold fee will be charged on items entered with unagreed reserves – this charge is 20% of the reserve with a minimum charge of £20 plus VAT. 13.1.2 - they comply with all applicable legislation such as (but not limited to) the Health and Safety at Work Act 1974 as amended from time to time, Health and Safety Regulations and Dangerous Substances Regulations. 13.2.2 - the vendor has complied with all the Environmental Law and Environmental licences, which are applicable to the dangerous substances. 13.3 - The Vendor agrees to indemnify Adam Partridge Ltd, its employees or agents against any loss or damages suffered by any or all of them as a result of any breach of any of the warranties contained in this condition 13 or any negligence of the Vendor, its employees and agents. 13.4 - The Vendor acknowledges that Adam Partridge Ltd are the Vendor’s agents and for the purposes of all legislation applicable to Special Goods and Dangerous Substances, including, but not limited to, Health and Safety legislation and regulations and Consumer Protection Act 1987, the Vendor acts as consignor and supplier. 13.5 - Adam Partridge Ltd reserve the right to make a minimum charge of £5.00 per item to have electrical goods checked by an electrician if required. The Vendor Authorises Adam Partridge Ltd to deduct Commission & Expenses at the Stated Rates from the hammer price and acknowledges the Auctioneer's right to retain premium payable by the purchaser. Vendor’s commission is charged at the rate of 20% including VAT with a minimum charge of £5 + VAT per lot whether sold or not. 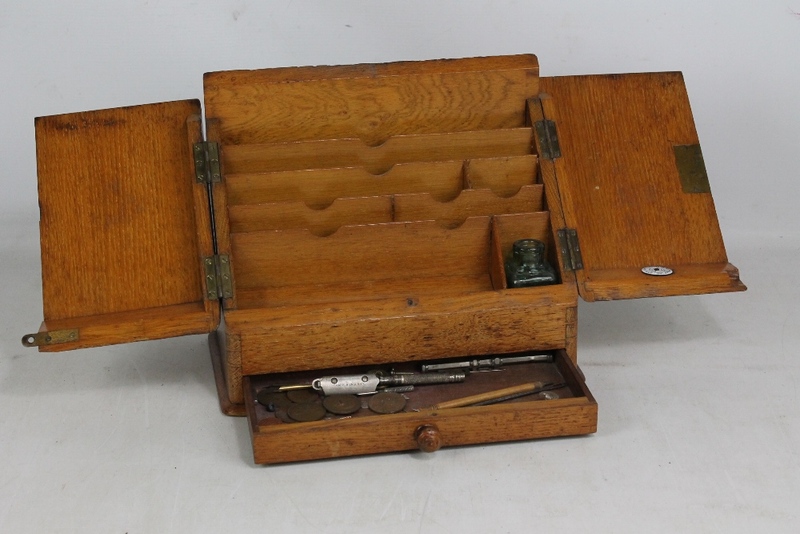 The vendor gives Adam Partridge Ltd full and absolute right to photograph and illustrate any lot and to use such photographs and illustrations and any photographs provided by the vendor at any time at its absolute discretion, whether or not in connection with the auction. Adam Partridge Ltd have absolute discretion on the illustration of any lot in the catalogue at the Vendor’s expense up to a maximum of £50 for black and white and £150 for colour (with any VAT chargeable thereon). 19.1 - The Sale Proceeds received from the buyer in cleared funds will be forwarded to Vendors no later than 28 days after the auction. Where the Buyer makes a payment more than 23 days after the auction we shall send to the vendors the Sale Proceeds within 5 working days of receipt of cleared funds. The Sale Proceeds are the hammer price less commission and expenses set out in the terms of business. The vendor waives any right to interest that may be earned during the period from payment by the buyer to receipt of the 'net sale proceeds' by the Vendor. 19.2 - Vendors should note that notwithstanding any other terms of these conditions, the vendor(s) may on certain circumstances be liable to Buyer(s) in respect of disputed catalogue descriptions, even though they have been made innocently and in good faith. 19.4 - If not withstanding that Buyer fails to pay to Adam Partridge Ltd the Purchase Price, Adam Partridge Ltd remits to the Vendor the Sale Proceeds, the ownership of the Lot shall pass to Adam Partridge Ltd.
20.1 - The Buyer shall pay the Hammer Price together with a premium of 20% of the Hammer Price inclusive of VAT. This premium is payable by all purchasers. The amount invoiced will be premium plus VAT (where VAT is chargeable) but this VAT will not normally be recoverable by the buyer. Any lot purchased through the services of ATG Media www.the-saleroom.com will be subject to a further charge of 5% + VAT of the Hammer Price. 20.2 - The Vendor authorises the Auctioneer to deduct commission and expenses at the stated rates from the hammer price and acknowledges the Auctioneer’s right to retain the premium payable by the purchaser. 21.1 - If the Vendor cancels his instructions for sale at any time, Adam Partridge Ltd reserves the right to charge a fee of 20% plus VAT of either Adam Partridge Ltd’s latest estimate of the auction price of the lot or the Reserve placed on the lot (if there is one), plus in either case VAT and expenses, with a minimum charge of £20 + VAT. 21.2 - Upon withdrawal of the Lot/s, the Vendor shall arrange for the collection and removal of the same at his own expense on or before 2 working days after the date of withdrawal. If the Vendor fails to remove the lot within the specified time he shall pay storage charges at the rate of £5 plus VAT per lot per day backdated to the date of withdrawal. 21.3 - Any legal fees, expert’s fees and any other expenses that Adam Partridge Ltd may incur investigating any claim concerning ownership of the Lot shall be borne by the Vendor, who shall reimburse to Adam Partridge Ltd all such fees and other expenses on a full indemnity basis. 22.1 - If the Buyer makes a claim to rescind the sale on the basis of condition 36.2 and in Adam Partridge Ltd’s opinion that claim is justified, or Adam Partridge Ltd decides to rescind the sale on the basis of condition 19.3, Adam Partridge Ltd may rescind the sale without further reference to the Vendor and refund to the Buyer any amount already paid in respect of the Lot. 22.2 - If the Vendor has received any monies in respect of the sale of a Lot and that sale is rescinded as mentioned in condition 22.1, Adam Partridge Ltd has the right to recover such monies from the Vendor. Adam Partridge Ltd are not shippers or packers, but will, if you are unable to arrange your own packing and couriers service, be happy to help. We will pack and post small items, at a small administration charge and send the parcel with The Royal Mail Special Delivery Service. Adam Partridge Ltd disclaim all responsibility for loss or damage to the goods - any claims in this regard must be taken up with Royal Mail. 26.1 - Buyers and prospective Buyers are deemed to have satisfied themselves before bidding by inspection or otherwise as to (but not limited to) the physical condition (including defects) of the Lot and its description in the Catalogue. Buyers and prospective Buyers should note the provisions of General Conditions 2.4 and 2.5 in relation to descriptions of the Lot in the Catalogue. 26.2 - Condition reports. All condition reports given are statements of opinion only and subject to conditions 2.4 and 2.5. 27.1 - Any dispute as to who is the Buyer of any Lot shall be settled by Adam Partridge Ltd.
27.2 - Every bidder at an auction run by Adam Partridge Ltd shall be deemed to act as principal unless prior to the start of the auction Adam Partridge Ltd has been given a written acknowledgment that a bidder is acting as agent for a named principal. The buyer shall pay the Hammer Price together with a premium of 20% of the Hammer Price inclusive of VAT. This premium is payable by all buyers. The amount invoiced will be premium plus VAT (where VAT is chargeable) but this VAT will not normally be recoverable by the buyer. Any lot purchased through the services of ATG Media www.the-saleroom.com will be subject to a further charge of 5% of the hammer price in addition to the Buyer’s Premium (plus VAT). The Buyer also acknowledges that Adam Partridge Ltd may receive commission from the Seller in accordance with Condition 17 hereof. 30.1 - Adam Partridge Ltd will, if so instructed, execute written bids up to a specified limit from prospective Buyers. The Buyer shall deliver any instructions regarding commission bids whether delivered by post, facsimile transmission, telephone or in person to the appropriate employee of Adam Partridge Ltd, being the Auctioneer or an employee authorized to accept such instructions. Neither Adam Partridge Ltd nor its employees or agents will be liable for any neglect, default or failure to act in connection with any commission bids or telephone bids. 30.2 - In the event that Adam Partridge Ltd has received commission bids on a Lot for identical amounts and at auction those commission bids are the highest bids for the Lot, subject to Condition 27.1 and to Adam Partridge Ltd’s ultimate discretion it shall be sold to the person whose commission bid was received first. 30.3 - Telephone bids can be arranged for items expected to realise at least £250 and are accepted at the Auctioneer’s discretion. No liability rests with Adam Partridge Ltd.
31.2.2- the Lot will be at the sole risk of the Buyer who shall forthwith show his bidding registration card or give his full name and permanent address and if called upon to do so by the Auctioneer shall forthwith pay to Adam Partridge Ltd such proportion of the Purchase Price as the Auctioneer may require. Failure by the Buyer to do so may (at the Auctioneer’s sole discretion) lead to the Lot being put up again and re-sold. 31.3 - Legal title to the Lot will not pass to the Buyer until the Purchase Price has been paid (and all monies cleared) in accordance with Condition 32.3. Adam Partridge Ltd shall be entitled to a lien on any Lot sold until the Purchase Price has been paid in accordance with Condition 32.3. 32.2 - The Purchase Price must be paid to Adam Partridge Ltd no later than 5.30pm on the Friday of the week following the auction. 32.3 - Full payment for all Lots must be made to Adam Partridge Ltd by means of banker’s draft, cash, certified cheque, bank transfer, debit or credit card in pounds sterling. Where the Buyer wishes to pay by cheque, the Lot will not be released to the Buyer until the cheque has been cleared unless arrangements have been made with Adam Partridge Ltd prior to the date of the auction. We do not accept American Express, Maestro debit card payments by phone OR credit card payments for invoices totalling £200 or more . 33.2 - Subject to Condition 33.1, if the Buyer shall not remove (and arrange for transport/carriage) at his expense any Lot purchased by him by 5.30pm on the Friday following the Sale, then the Buyer shall pay to Adam Partridge Ltd the Storage Charges. 34.1 - As the risk in respect of a Lot will pass to the Buyer from the fall of the hammer (as provided by Condition 22.1), the Buyer will be responsible for any loss or damage to the Lot from that time. All items in this catalogue that are marked with ‘D’ are potentially qualifying items, and the royalty charge will be applied for if the hammer price achieved is more than the UK sterling equivalent of EURO 1,000. The royalty charge will be added to all relevant invoices, and must be paid before items can be cleared. All royalty charges are paid to the Design and Artists Copyright Society (‘DACS’), no handling costs or additional fees with respect to these charges will be retained by the auctioneer. Lot 35 An oak smoker's cabinet with tobacco jar and single cased pipe.